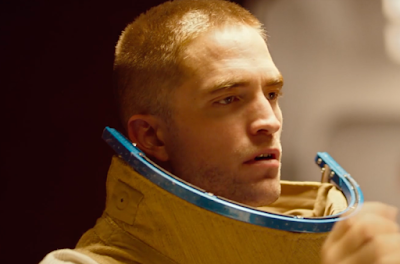 Claire Denis is expanding her directorial horizons in a big way with the sci-fi drama High Life, a film with a cast that should attract more attention than ever in her career. That's what'll happen when you set Robert Pattinson as your headliner, and apparently the partnership worked out beautifully because Denis is already talking about casting him in her next project. Speaking at a recent Q&A event, Denis revealed her next film will be an adaptation of late author Denis Johnson's book The Stars at Noon, with Pattinson expected to star. Here's a synopsis: Set in Nicaragua in 1984, The Stars at Noon is a story of passion, fear, and betrayal told in the voice of an American woman whose mission in Central America is as shadowy as her surroundings. Is she a reporter for an American magazine as she sometimes claims, or a contact person for Eyes of Peace? And who is the rough English businessman with whom she becomes involved? As the two foreigners become entangled in increasingly sinister plots, Denis Johnson masterfully dramatizes a powerful vision of spiritual bereavement and corruption. This won't be the first time Johnson's work has been brought to the big screen. The 1999 film Jesus' Son is based on the writer's collection of short stories published that same year.